The Government of Burundi has put in place a law prohibiting the planting of tree species that use a lot of water in marshes and around water sources in order to preserve water. 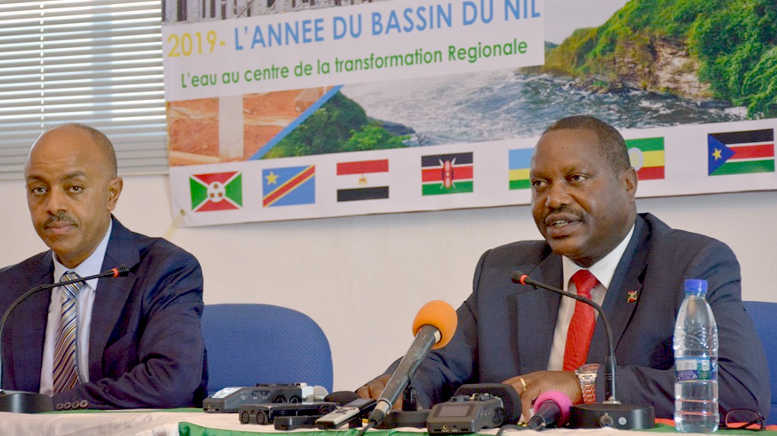 Speaking at the launch of 2019 as the ‘Year of the Nile Basin’ in Bujumbura, Dr. Deo-Guide Rurema, the Chairman of the Nile Council of Ministers and Burundi Minister of Environment, Agriculture and Livestock, said his government was on the right track in protecting the common heritage that is the River Nile. “The decree prohibiting the use of plastic bags is being implemented. This will help ensure quality of water and reduce microplastics in lakes and rivers, which will protect the biodiversity of these ecosystems,” he said. The Burundi countryside is peppered with eucalyptus trees, which are known to induce soil degradation, cause decline of groundwater level, and decrease of biodiversity. The decision to declare 2019 as the Year of the Nile Basin resulted from the 26th Annual Nile Council of Ministers meeting held in August 2018 in Bujumbura, which recognised that River Nile plays an integral part in achieving not only water security but also food and energy security as well as eradicating poverty for the people of the Nile Basin region. The Nile waters are key to achieving the regional development agenda and enabling regional integration. Also, this year, the ten member countries that make up the Nile Basin are commemorating 20 years of the founding of the Nile Basin Initiative (NBI) as an institution that formulates development programmes. Events to mark the 20th Anniversary Celebrations of the founding of the NBI will be held in Kigali Rwanda. ‘The Year of the Nile Basin’ under the motto: ‘Putting Water at the Heart of Regional Transformation’, is dedicated to highlight the role that transboundary water must play in the conversations Nile Basin countries have about the present and future regional development. 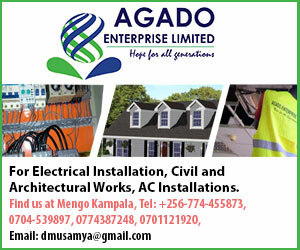 The emphasis is on ensuring equitable utilisation and win-win benefits for society and the environment alike. Ultimately, it will also contribute to maintain regional peace and security,” explained Rurema. Also present at the launch was the Deputy Executive Director of the Nile Basin Initiative Secretariat, Dr Abdulkarim Seid, who called on Nile Basin countries to work together to overcome the ever growing challenges of increasing water variability, ever-growing water demand and multiple impacts of climate change. Over the last 20 years, the Nile Basin Initiative (NBI), has been and is the only basin-wide institution including all the Nile Basin countries. The NBI, established in February 22, 1999, has helped to nurture the culture of water cooperation in the Nile Basin, providing a neutral platform for countries to discuss how to jointly take care of and utilise the shared water resources for the benefit of all and to address the common challenges which no country can tackle alone. Throughout 2019, the Nile Basin Initiative and Member States will play host to key events including the 20th anniversary of NBI and annual Nile Day celebrations on February 22, 2019 in Rwanda; launch of the State of River Nile Basin Report 2018 and launch of the 20th anniversary publication on February 22, 2019, among other activities. The launch was crowned off with a tree planting ceremony in Rutovu, the southernmost source of the Nile in Burundi, where delegates planted trees meant to rejuvenate the soils and protect the biodiversity around the source of the Nile. Preserving and conserving water is considered a key objective of the Nile Basin member countries because of the rapid social, political, economic and environmental transformations. The Basin is facing a multitude of shared challenges which, like the Nile itself, span across borders. Challenges include growing demands for water, but as food and energy, which are also dependent on water. However, water variability keeps increasing, and climate change is expected to increase the risks. This reality can no longer be ignored. At the same time, the River Nile plays an integral part in achieving not only water security but also food and energy security as well as in eradicating poverty for the people of the Nile Basin region. Nile Basin countries must act together in order to adequately respond to these challenges and take advantage of the opportunities. The Nile Basin Initiative is the only basin-wide institution providing a neutral platform to the 10 Member States, to discuss how to jointly take care of and utilise the shared Nile Basin water resources for the benefit of all and to address the common challenges such as food, water and energy security as well as the negative impacts of climate change, which no country can tackle alone.